This is always a hit at parties, potlucks, or half recipe to serve to your family as a side. In a large bowl, combine peaches, pineapples, and vanilla pudding mix. This includes the juices from the cans. Mix well until pudding is dissolved. 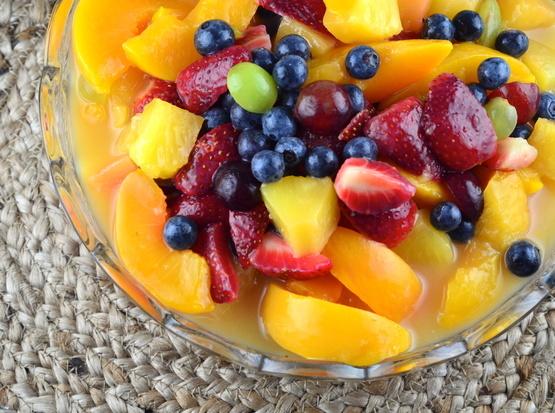 Stir in strawberries, banana, blueberries, grapes, and sugar if desired.